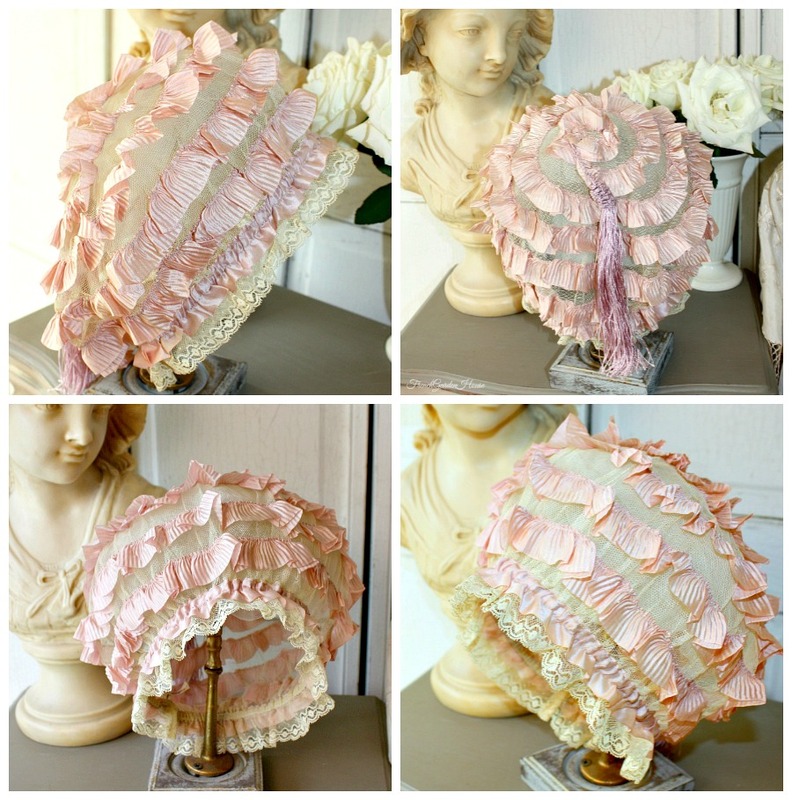 Exquisite Antique French Boudoir Cap, edged in finest French needle lace, with sublime pleated Lavender Silk Ribbon alternating with delicate netting to form the cap. 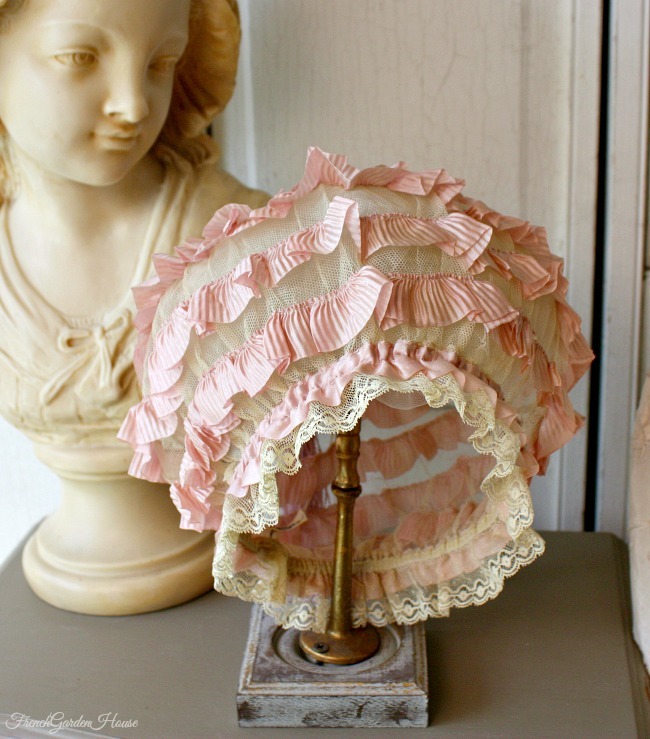 So lovely, and in such wonderful condition, the center of the top has a Lavender Purple silk tassel as a decoration, which gives this cap such winsome charm. 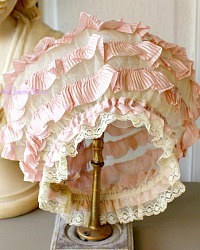 From a collector, this is what ladies of good fortune wore before retiring, or just when they arose to eat breakfast before their personal maid did their hair for the day. 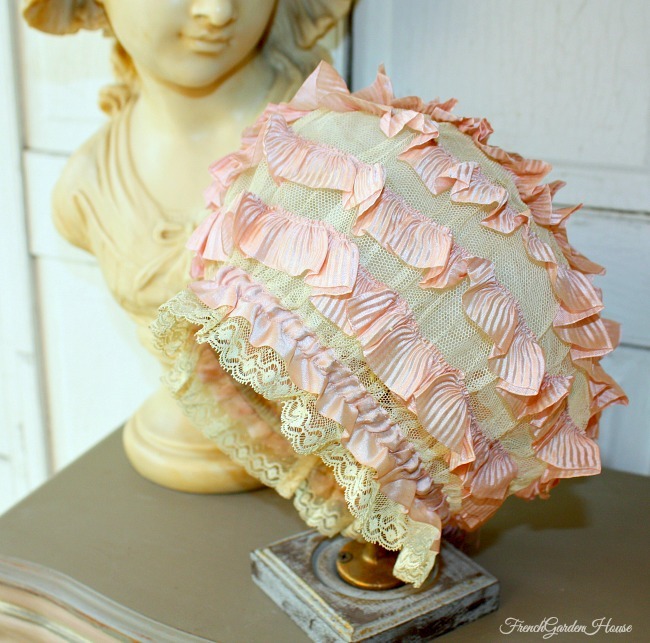 A sweet confection to add to your luxury collection, in such a glorious candy color, display this darling in your boudoir, or if you dare, wear this, this is too pretty to hide in private. In almost perfect condition, at one time the elastic was replaced. Gorgeous!